After scoring dismal, one-sided reviews, Vivek Agnihotri's The Tashkent Files is slowly and steadily increasing box office clout. 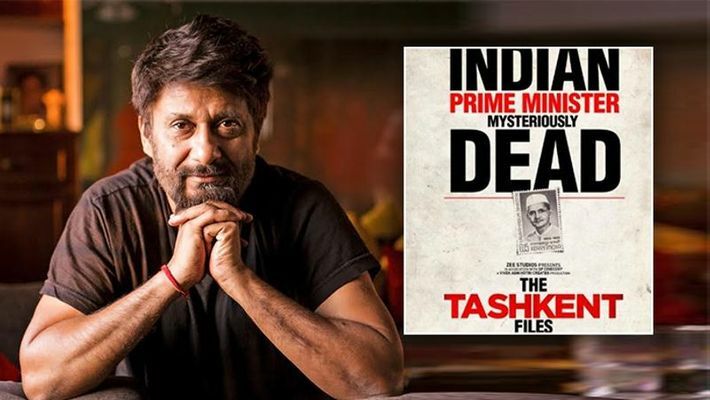 Mumbai: Vivek Agnihotri’s thriller film The Tashkent Files is going slow but steady at the box office. The film, which opened to poor reviews on April 12, is receiving love from the audience and is growing at the box office with a positive word of mouth. As per trade analyst Taran Adarsh, the film has collected Rs 2.20 cr over the opening weekend. On Friday, the movie collected 40 lakhs which doubled on Saturday (80 lakhs) and on Sunday the movie went on to collect 1 crore. This is proof that despite opening to not so great reviews and having a very limited screen count, the gripping thriller is slowly gaining momentum at the box office. Despite limited screen count [250 screens] and shows, #TheTashkentFiles gathers momentum over the weekend... Needs to pack strong numbers on weekdays, since #Kalank arrives on Wed... Fri 40 lakhs, Sat 80 lakhs, Sun 1 cr. Total: ₹ 2.20 cr. India biz. The Tashkent Files deals with an investigation into the reasons behind Former Indian Prime Minister Lal Bahadur Shastri’s mysterious death in Tashkent (now in Uzbekistan) on January 11, 1966, hours after signing the Tashkent Declaration. There are several mysteries surrounding his death which remain unsolved till date as no post mortem of his body was done. There is also a lack of proper evidence to establish the fact that he died of a heart attack. Some believe, that his milk was poisoned, which led to his death, but there is no proof of that either. The film points a finger at several unanswered questions related to his death. Why were there bleeding cuts all over his body? Why did his face turn blue? Why did only six out of eight doctors present at the time of his death sign his death certificate? Why did Shastriji point towards his milk flask minutes before he breathed his last? Whose decision was it to change his cook that night and why? Did Shastriji die of heart attack or was it cold-blooded murder? Why no post-mortem was done? Watch The Tashkent Files to learn the mystery behind the death of independent India’s second Prime Minister. The Tashkent Files stars Naseeruddin Shah, Mithun Chakraborty, Shweta Basu Prasad, Mandira Bedi, Rajesh Sharma, Pankaj Tripathi, Pallavi Joshi and Vinay Pathak in key roles. The film has been written and directed by Vivek Agnihotri.